SIFANG, CSR (China South Locomotive & Rolling Stock Corporation Limited) (Chinese) Imported in 2012. Importing still in progress. Exterior appearance is same as Class S10. 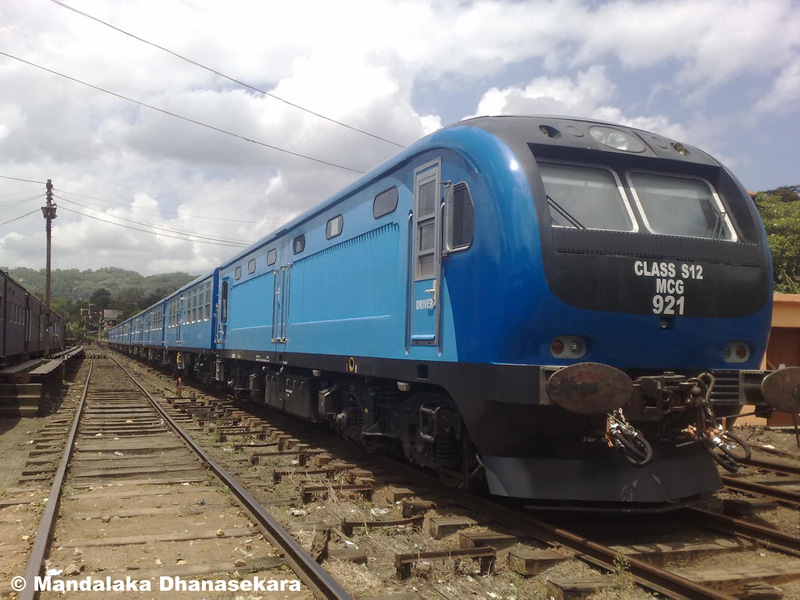 There are two types of Class S12 DMUs imported and another one type is still to be imported. Seven S12 (Main Line) are comprised of Two MCG + 3 nos. TC + 3 nos. SC + one FC + Buffet Car. First Class compartment (AFC) are air conditioned and having four LED TV screens, surround sound system and adjustable seats. There are totally 8 compartments plus two 2000 hp engines in a set. The new S12 (KV) DMU is called D 22 DMU(DMU KV). Its appearence is same as Class S10. This Class S12 (KV) should not be confused with Class S12 (Main Line). The passenger carriage is smaller with 4 main doors and its length is only 50 ft (15 m). Normally you have 6 main doors in DMUs. Number of S12 (KV) sets are four (4). There will be two S12 (Luxury) sets comprised of only several number of AFC compartments and MCGs at both ends.